House Democrats are discussing investigating the cash infusion the Kushner Companies' flagship New York office tower received in summer 2018, Reps. Maxine Waters, Elijah Cummings and Ted Lieu told Axios. Why it matters: Jared Kushner’s family real estate business provides Democrats with a new opening to investigate a senior White House official's indirect connection to foreign money. Kushner has been helping conduct Middle East policy on behalf of the U.S. government. The Kushner family's most consequential recent deal is the one that bailed them out of their struggling, debt ridden behemoth at 666 Fifth Avenue. Lieu, who serves on the House Judiciary and Foreign Affairs committees, told Axios that he finds the deal "really troubling," and that one of the House committees will be looking into it. Waters, chair of the House Financial Services Committee, and Cummings, chair of the House Oversight Committee, confirmed that there have been private discussions about investigating the deal. It's unclear which committee would investigate the deal, and whether it will be investigated at all. "We’ve been looking at that for a while," Cummings said. "It's a very difficult question because Maxine may have a piece of it, another committee might have a piece of it. We’ll figure that out." The backdrop: Jared Kushner’s family company bought the Midtown skyscraper for a record $1.8 billion in 2007. But the building later became a financial headache. 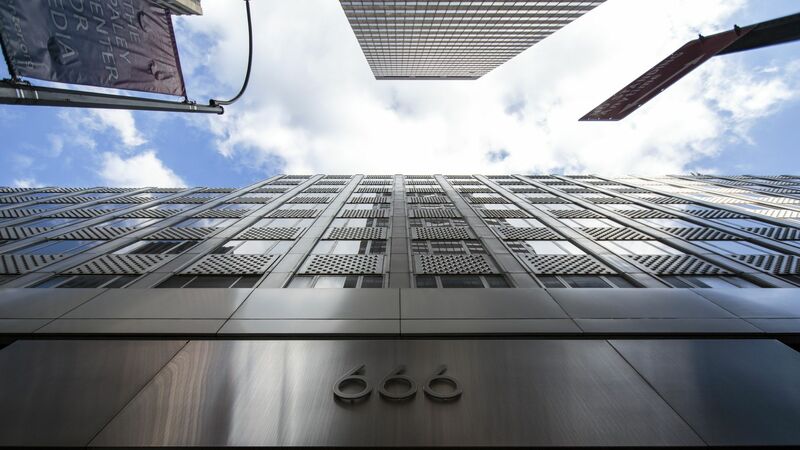 At the time of the deal, the N.Y. Times reported, "Analysts have long said that 666 Fifth was worth less than its debts. The building was 30 percent vacant and only generated about half the annual mortgage payments." According to the Wall Street Journal, Brookfield Asset Management, which purchased a 99-year lease on the building, paid enough for Kushner Companies to pay off its $1.1 billion debt and buy out its partner, Vornado Realty Trust, which owned the retail portion of the building. The deal became politically controversial because Qatar Investment Authority, one of the world’s biggest sovereign wealth funds, is Brookfield's second-largest investor. Brookfield said Qatar wasn’t aware of the deal until it was publicly announced. At around the same time, Brookfield's acquisition of Westinghouse Electric, a nuclear power company, was finalized. This connection became problematic after the House Oversight Committee released a report last month alleging some members of the Trump administration proposed selling nuclear power plants to Saudi Arabia over the objections of top national security officials. The report noted that Westinghouse, which manufactures power plants, could benefit from such a deal. The White House did not respond to Axios' request for comment.